Since I was toddler, I love animals. Besides our family dog, my first pet was a bunny. And, as I grow up, my favorite stuff animals are bunnies. I have a yellow one from my dad and a tan color one from my mom that I still have to this day. So, as you can see I have special love for bunnies. :) I think, that's why I am also partial to Crafter's Companion Bebunny sets. Jut like this Bebunny Perfect Couple set. I colored this image using Spectrum Aqua. I especially love the way the ears coloring turned out. So soft & pretty with the light & lighter shade. The sentiment is from Edge'ables dies, but I only used the positive part of the letter and ditch the rest. Now, since my previous Purple Onion Designs winner never contacted me, I have picked another winner. Stephanie, you're my lucky winner! Please email me your mailing address and I'll get your Purple Onion Designs stamp out to you ASAP. That's all from me today. It' just one of those day, where I feel kind of blah... and don't really have anything to write. :) Hopefully, I'll be back to my happy self soon. Enjoy your weekend. I can't believe it's Thursday already. With day off on Monday, this week sure flies by. Well folks, it's time for MFT new color challenge. Also, just for fun, I made an extra card. I can't believe it that I made a card where the only stamping here is the sentiment. The rest simply using dies. Well, that's all from me today. 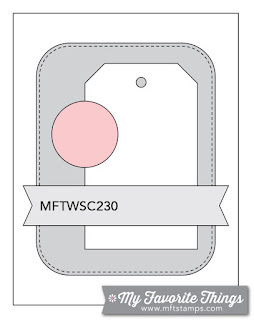 Check out what the design team has created for this challenge at MFT Challenge Blog. Can't wait to see your creation! 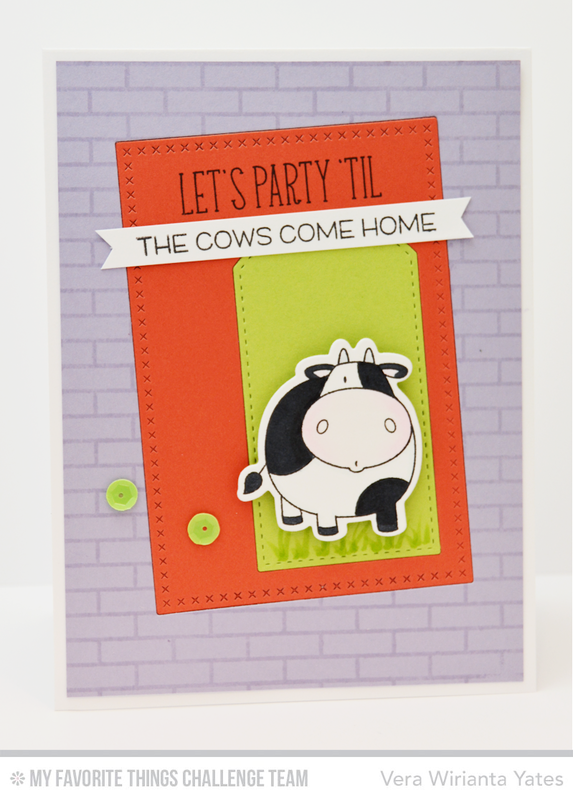 PS: I still haven't heard from the winner from my Purple Onion Designs giveaway. If I don't hear anything back from her by midnight Friday, I'll pick a new winner on Saturday. Goodness, yesterday was a day full of water. So many area in Houston were under water. In Fort Bend county, my neck of the wood, we got about 11" of rain. We had water coming up to our driveway all the way to the front tire of my car, but luckily the rain stop not long after that point. My thoughts and prayers are with those in Austin and San Antonio area as well. Lots of people are affected by this crazy amount of rain. And, they predict more rain this week. Please stay safe. And, I am going flamingo with this sketch. 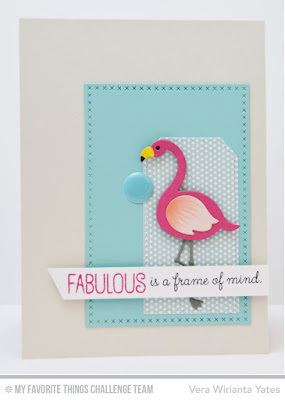 This flamingo dies is so fun to play with. 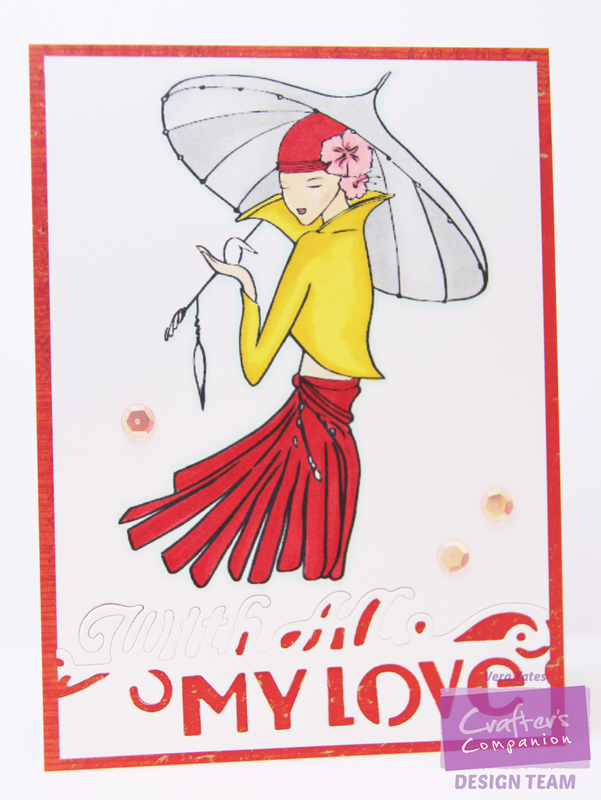 For more inspiration for the sketch challenge, please check out MFT Challenge Blog. Thank you so much for stopping by here. 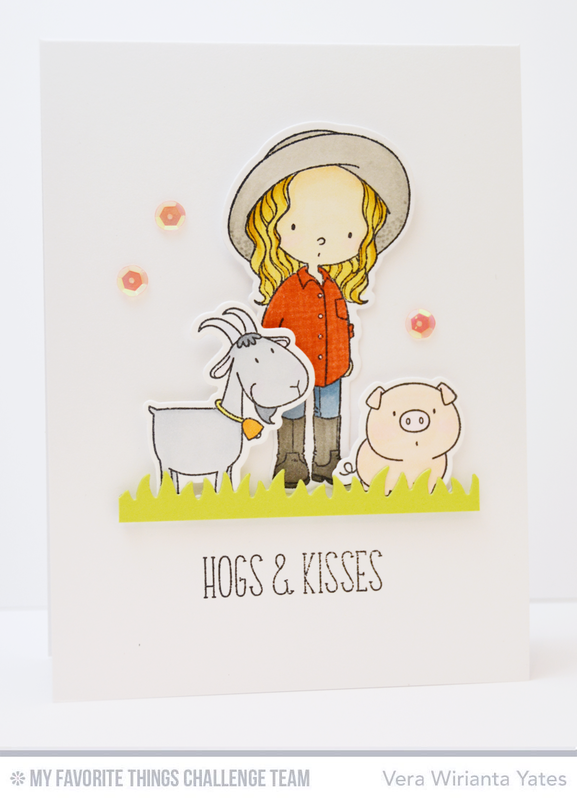 Sometime, I love doing fancy card, but deep down, I am a CAS girl at heart. 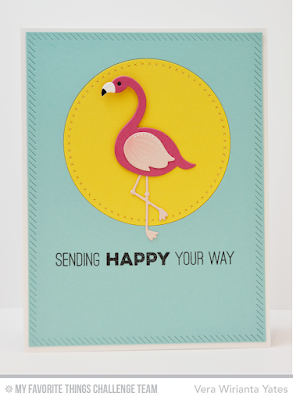 And, today's card is totally CAS & totally makes me happy. 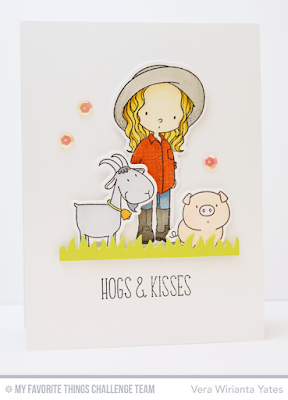 For today's card, I am playing with My Favorite Things Green Pastures & The Whole Herd. I also want to do a quick shout out to my li'l brother who's turning 39 today. Happy birthday, Jerry Aurum Wirianta! Wishing you a fantastic year filled with lots of happy & blessings. I am so proud of you and all that you have accomplished. And, thank you for giving me the most beautiful gift, my niece, Shakira. Yay! 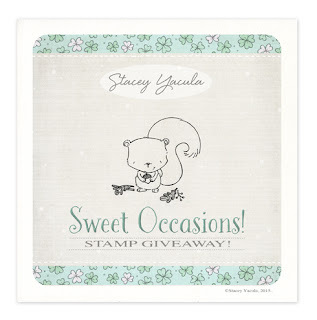 Today all Stacey Yacula's stamps for Purple Onion Designs are available for purchase at the store. To celebrate the new release, there is a discounted set price for a limited time. 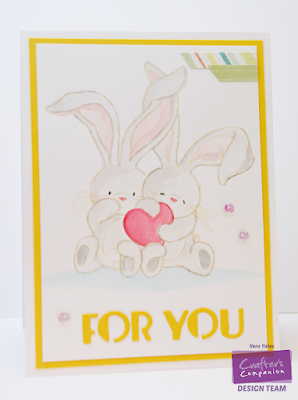 You can purchase the entire collection (25 stamps and 20 piece sentiment stamps) for $100.00. This is a discount of 30% and will only be available until Sunday, June 7, 2015). Today, I want to highlight "Heartfelt" the sweet mouse. And, here's a close up of Heartfelt. Now, I have a winner to announce. Tan... tan... ta... da... da... The winner from my POD blog giveway is "Starqueen". Starqueen please email me your mailing address and POD will mail out your goodies right away. Thank you all so much for your sweet comments and I hope you love the new release as much as I do. Hi all. 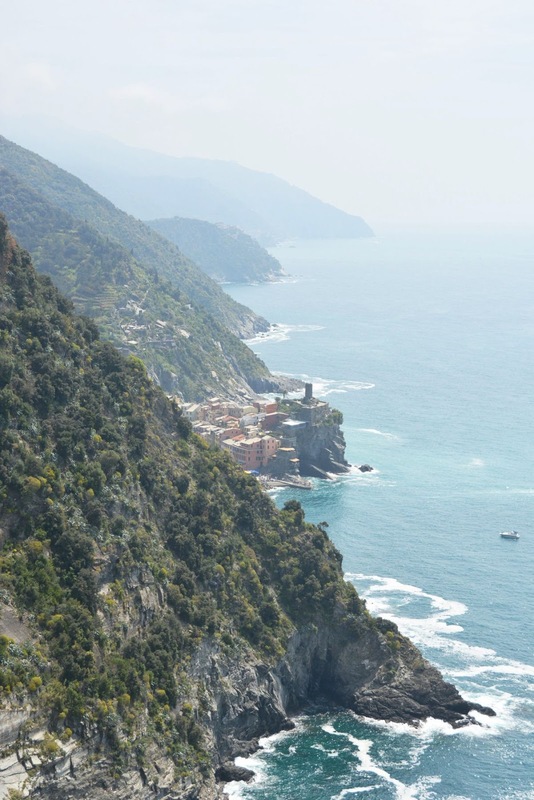 Finally, I get to start sorting out the pictures from our Cinque Terre part of our Italy trip. This place totally steal our heart. I pray that someday we get to come back to this place again. But, before we dive in to the pictures, I want to share a sweet project that I made for the newest SugarPea Designs challenge. 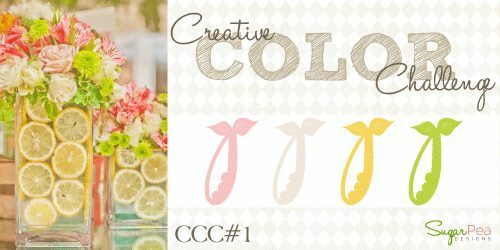 Starting this month, SugarPea Designs is changing the last challenge of the month from sketch challenge into color challenge. For our first color challenge, we have this sweet color combination for your inspiration. I haven't got a chance to play much with the stork from this month's release, so, this challenge is the perfect time to play with it. Now, we can dive in to vacation pics. 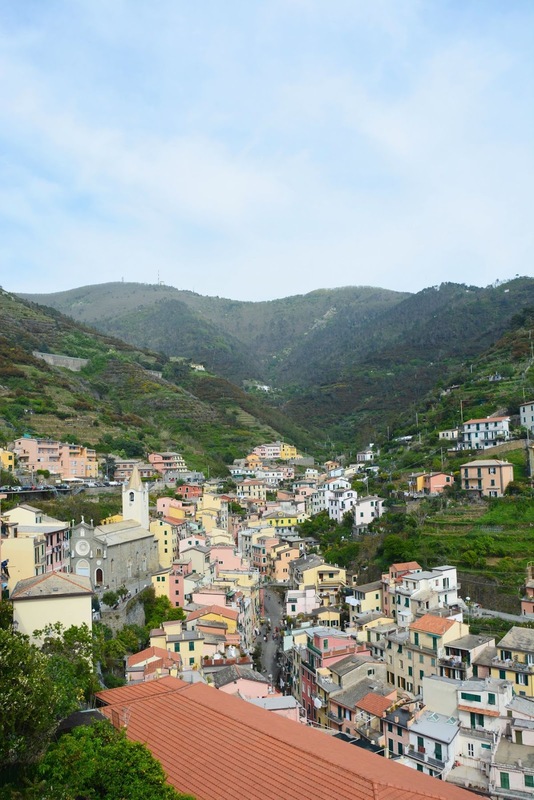 While planning our Italy trip, Cinque Terre is the major part of it. It's one of those place that I dream about. I've been wanting to visit this place ever since the first time I saw it online. I am obsessed with this place. We took so many pictures here, I have to split my review of Cinque Terre in 2 posts. Here's the 1st one. The 1st art of our Italy trip can be find HERE and 2nd part HERE. I was filled with giddiness from the moment we arrive. 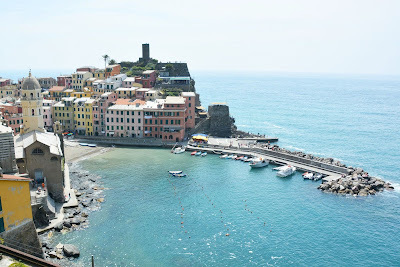 Our host met us at the train station in Riomaggiore and took us to our cozy & cute apartment that's facing a piazza. Not one to waste time, as soon as checked in, we started exploring. When we first started walking, it was all up hill. In my head, I was getting worried, that may be I put too much expectation on this place. Luckily, as soon as we get up the hill and get view of the ocean, all my worried was replaced by pure joy. The view of the ocean with the colorful houses is simply stunning. Maybe it's the atmosphere of the place, but every color seems to be more stunning. 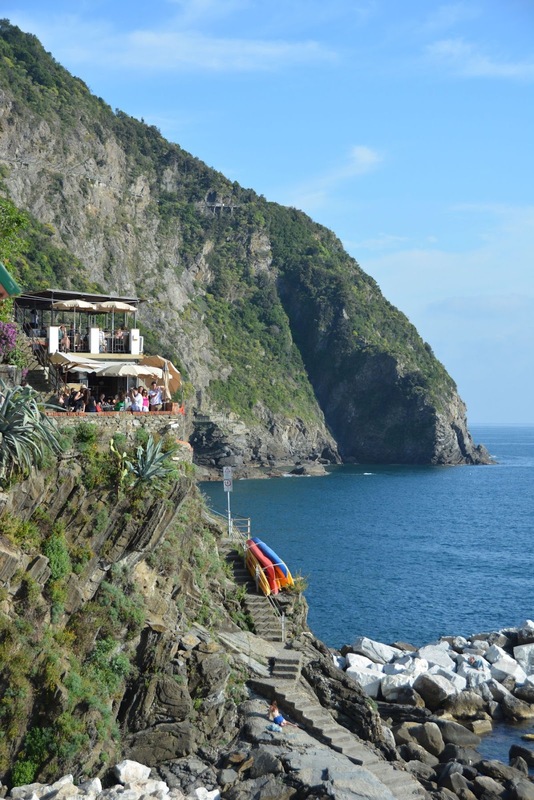 We spent our first night, just leisurely exploring every nook around Riomaggiore. The next day, we were going to take the easy trail from Riomaggiore to Manarola, but unfortunately, that trail close due to land slide. So, change of plan we're taking the hard trail from Monterosso to Vernazza. 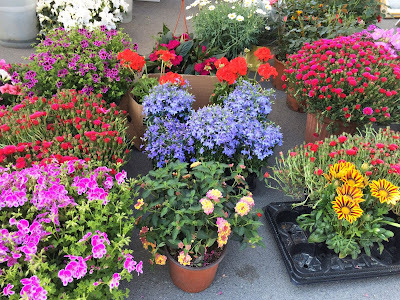 Arriving in Momterosso, this flower vendor captured my attention right away. 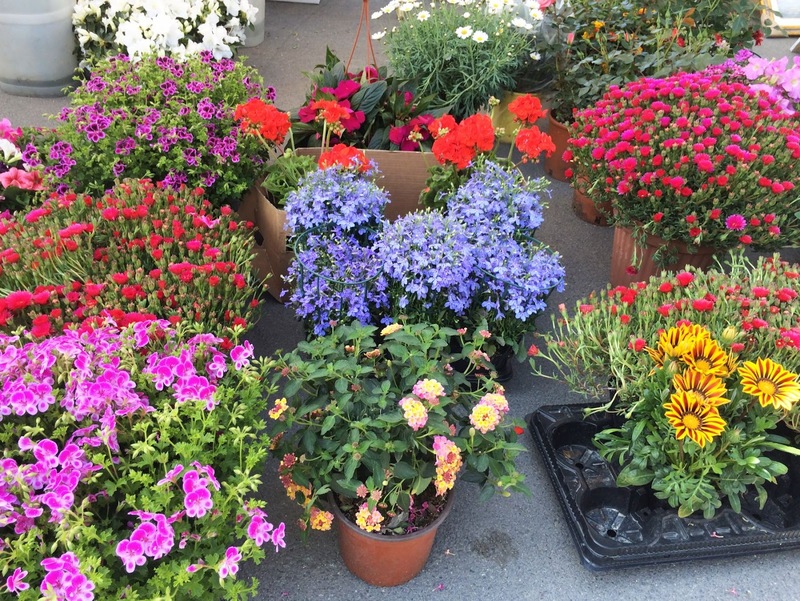 I mean, just look at the stunning color of these flowers! Then, we found the trail and start waking. LOL, I think after we climbed the first few stairs, we both like hm... you think we should do this? They said this is the hard trail and we were already huffing and puffing after just 10 minutes. We decided to stay on the trail after we remind ourselves that everybody said the view from the trail is amazing. That it's worth the pain of climbing. And, sure enough, the view is amazing. 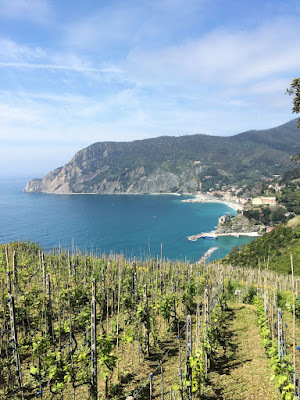 Vineyard on the hill looking down toward Monterosso. We just took a lot of stop along the way. Granted, on many part the trail is very skinny and sometime you have to let people that coming from the other direction pass first. Not that we're complaining, because our knee were shaking from the climbing that every stop is appreciated. Hah! Even though our legs were so tired, we can't help but keep smiling every time we greeted with beautiful view. We're like, can you believe we get to enjoy this gorgeous view? We passed lots of vineyard! Lot of beautiful wild flowers as well. The only thing that make me almost jump off the trail was the amount of lizard that we passed. I know lizard is not dangerous, but I just don't like them. Like the way people afraid of spiders, that's how I am with lizard. A couple times, I literally almost slip because a lizard suddenly ran in front of me or it was on the wall right where I passed and I just jumped. 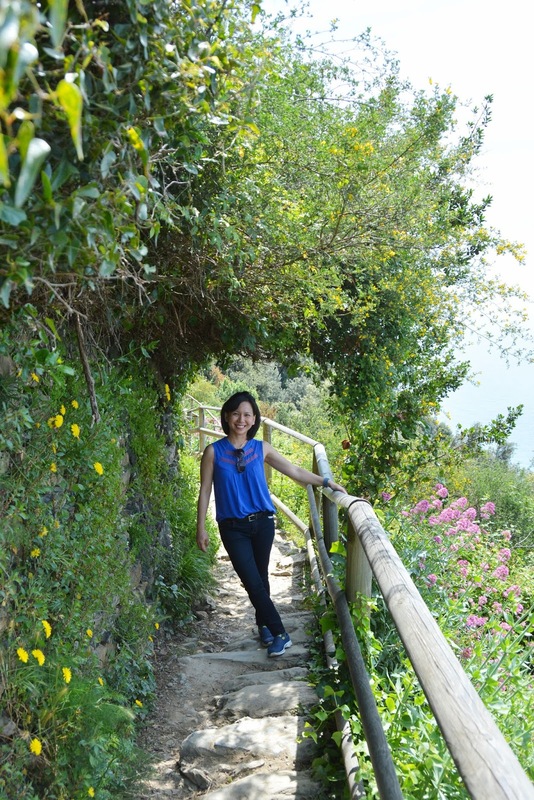 On the trail from Monterosso to Vernazza. 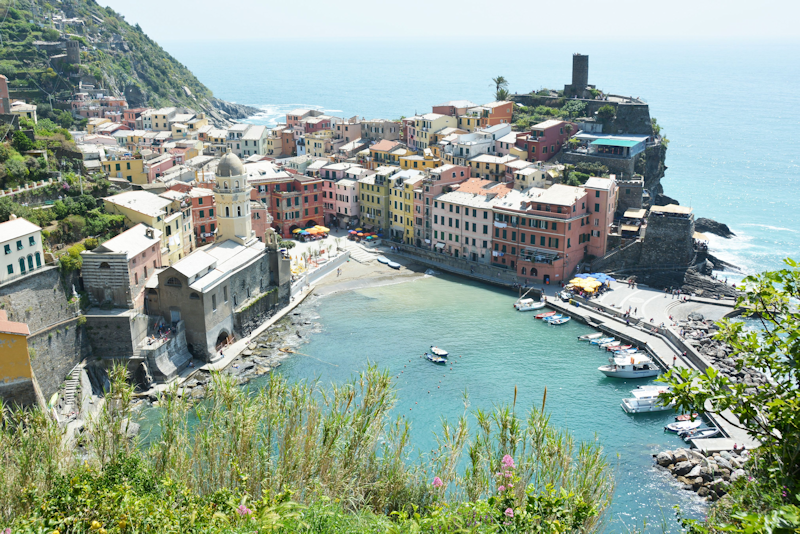 Then, as get closer to Vernazza, we get to see the view that everybody talk about. 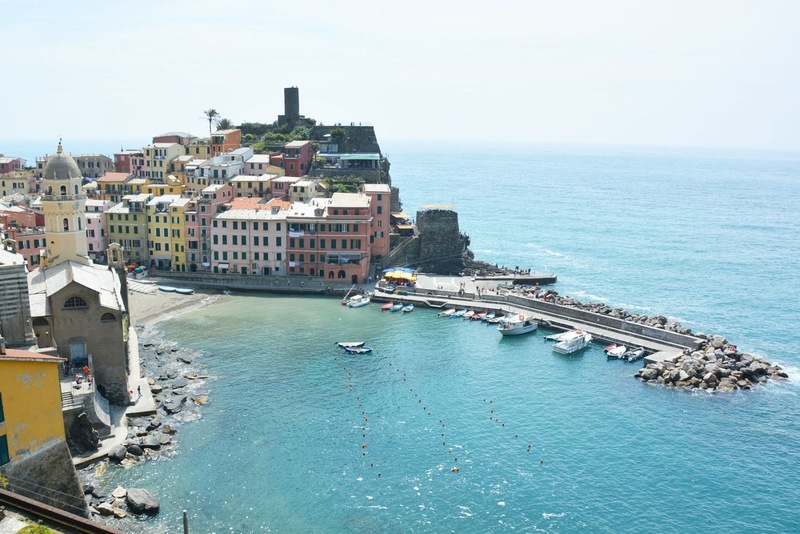 This view of Vernazza. Simply breath taking. Our picture really don't do justice of the beauty of this place. View of Vernazza near the end of the trail. What make it even more romantic (although being sweaty and knee buckling, it's pretty hard to be romantic)? As we get closer to the end of the trail we could hear a guy playing an accordion of classic Italian music. I love the sound of accordion. It's so original and beautiful. I mean, it couldn't be more Italian than that. Being welcome to a beautiful place by beautiful music? It's heaven on earth. The weather was just perfect. I mean, it's truly a gorgeous day. We couldn't ask for a more perfect day. When I saw this view, I said a prayer of thank you to God. Thank you for this beautiful place thank you for His blessings that we get to be in this amazing place. Hubby and I just fell head over heel with this region. You can see why. If you have travel bucket list, you definitely want to put Cinque Terre in that list. You won't regret it. Well, this is a pretty long post. I don't want to bore you, so I'll end this post here for now and will continue sharing more on a later post. Hope you enjoy the post. Happy Memorial Day and we honor and remember those who sacrifice their life for our freedom. To all my friends with family member in the military service, thank you for all that you and your family sacrifice. God bless. Quick post today as I want to share my Crafter's Companion Kimono project. 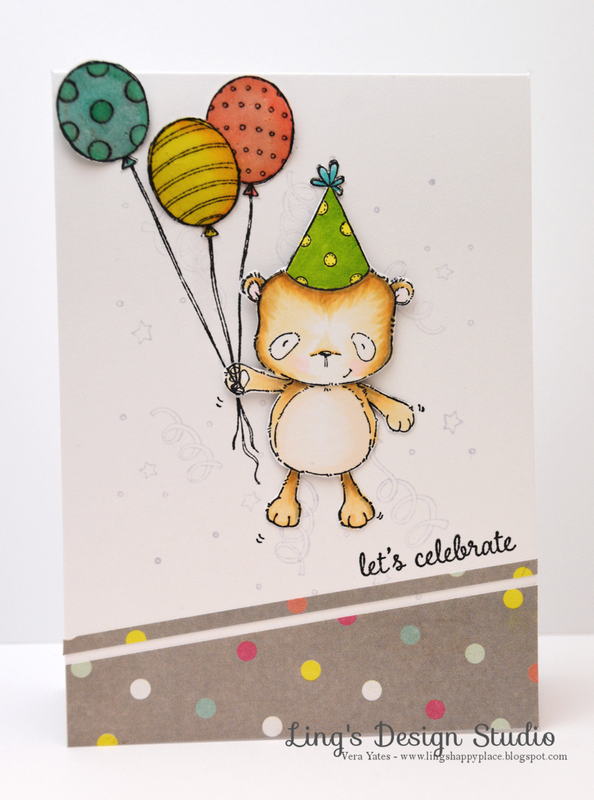 I am playing with this beauty and combining it with their new release word dies and the Spectrum Noir markers. I love coloring this image with strong colors. It just seems right to me. I should try to color this image with soft color and see how I like it. Hm... maybe next time I should try to do this in water color. I really never know when I started a project what I am gonna do, until I actually sit down and start playing with them. The sentiment was created using Edge-ables Word dies that should be available in store soon. Yay, for long weekend! Sigh.... I sure do love long weekend. I guess, it would be pretty hard to find people who doesn't love long weekend, right? Whoops... never mind, I actually know one person who doesn't like long weekend. Hah! Well, I plan on spending some time cleaning & organizing my craft cave & spending quality time with the four-legged babies. I feel guilty leaving them during the trip, so lot's of making up to do. Speaking about trip, coming home is also a sweet part of a trip, right? 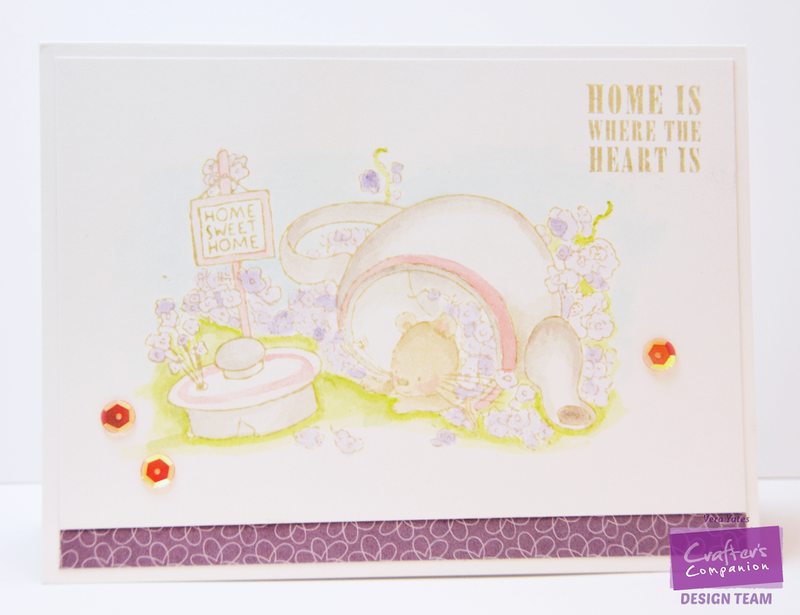 With that in mind, I want to share this Crafter's Companion, Home Is Where The Heart Is card. 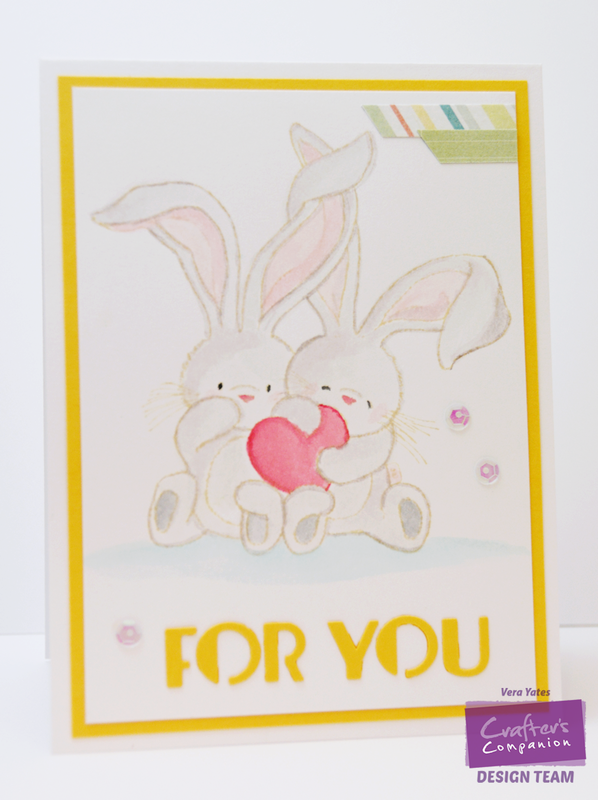 Using Spectrum Aqua, I created the soft coloring for this card. Have to admit, it's hard for me to get good pic of this card because of the soft coloring. I think next time, I have to darken my coloring a bit more. I am no expert in water coloring. Still need lots of practice. That's all for me today, peep. Have a beautiful weekend! I am so excited, when I saw the latest Purple Onion Designs that are being released this week. They're simply adorable! Be ready for a bunch of cuteness. To start the release party, on my end, I am playing with "Happy" the smiling bear and combine it with balloons & streamers and confetti on the background. Here's the close up of my card, so you can see the soft purple color confetti that I stamped on the card base. Now, nothing makes new release more exciting than some giveaway, right? Both Purple Onion Designs and Stacey Yacula are doing giveaway of the entire release on their blog. Go check out their blogs & you have till midnight Sunday, May 24 to leave comment to be entered for the giveaway. On top of that, some of the DT girls also doing mini giveaway. Including yours truly. 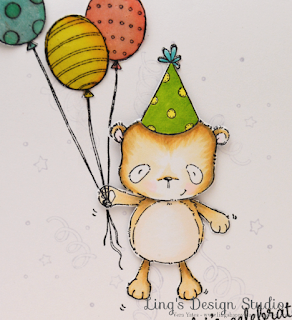 I am giving away Happy, Balloons & Streamers and Confetti. To enter the giveaway simply leave a comment here and let me know, which image is your favorite from this release. You have till midnight CST Sunday, May 24, to leave a comment. Winner will be announced on Monday, May 25,2015. Hope you enjoy the new releases! Happy Friday!